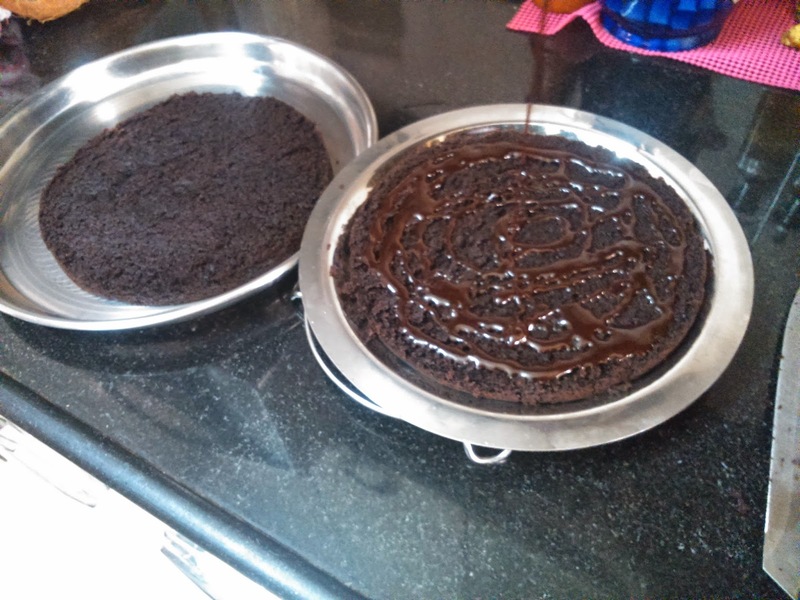 So lemme make you some chocolate cake. 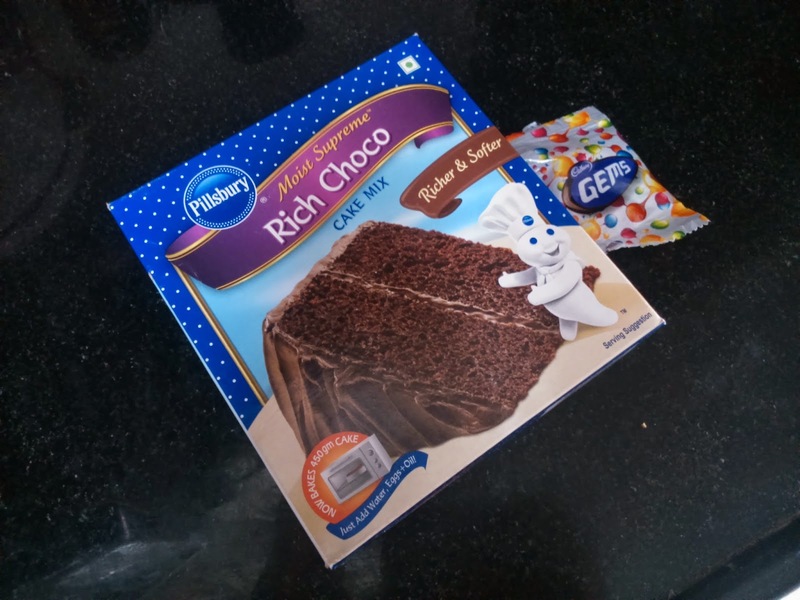 Again I am few ingredient person so grab the magic box of Pilsbury Rich Choco Mix Egg-less version from nearby store. 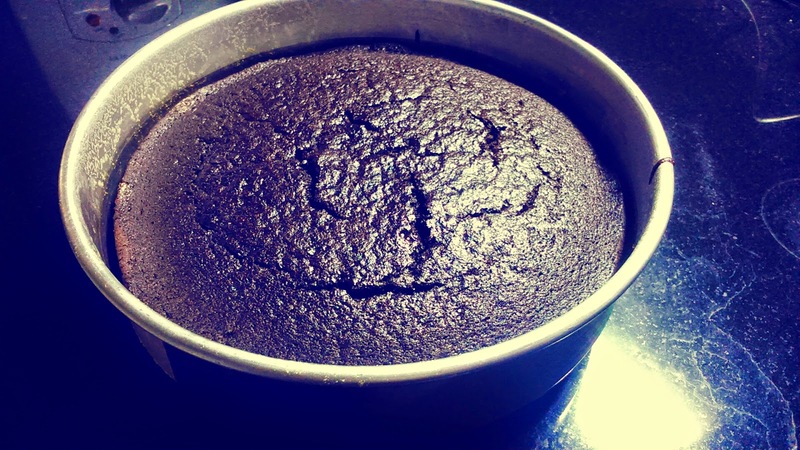 I am using the oven make if you don't have you can opt for cooker cake. Now as per instructions you would require water about 250 -300 ml and 75 ml of vegetable oil. i say use groundnut oil cause it doesn't have a strong fragrance and blends with the choco aroma. 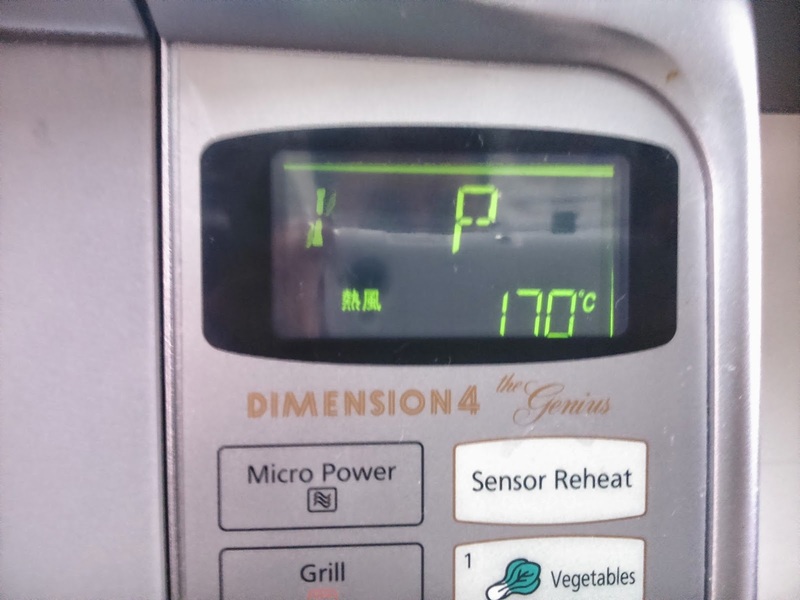 Step 1: Preheat the oven on 170 degree before you start working on the cake. Next, pour out the cake mix in a mixing bowl and add water. Whisk till all the lumps leave and then gentle fold the oil in the batter. i say make the lumps go off so work out those arms out. Next, grease a round baking container with butter, use lots. The pack say to sprinkle with flour but i prefer salted butter. It gives texture and taste to the sponge. Be generous on the butter. Step 2: Place the container into the preheated oven for 40 mins. After the oven calls you out. Pull the container out and let it cool off a bit for 5-10 mins. 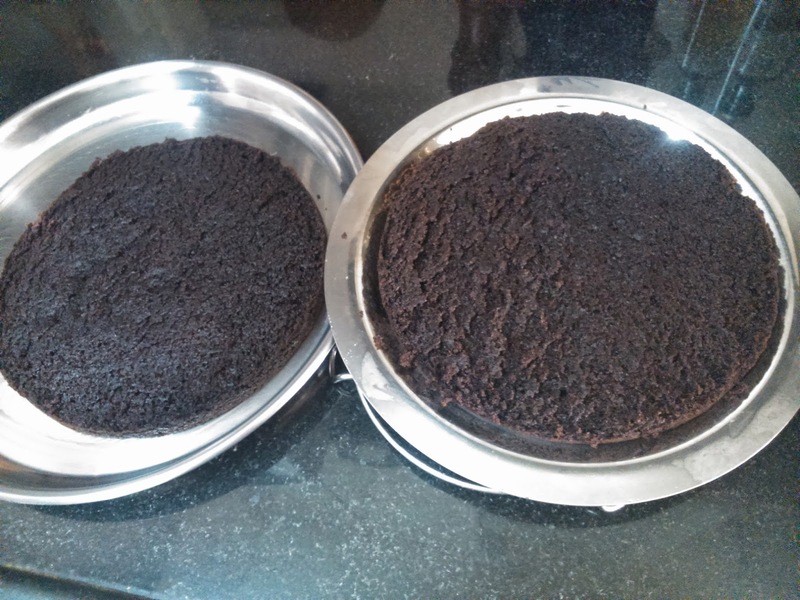 Later on you can pop out the cake on a plate or a cake dish if you own. 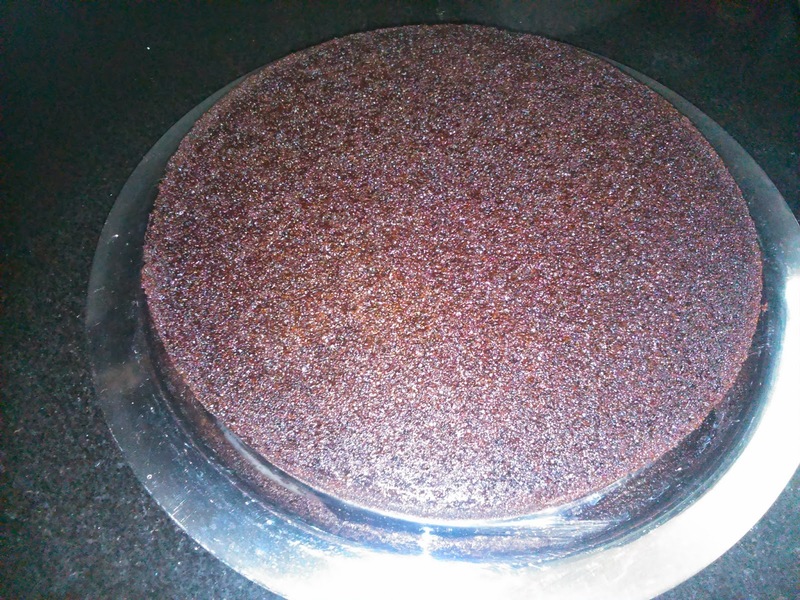 i say let the cake cool in the fridge for over 30 mins so that the chocolate dress fits the cake properly. Step 3: Get the handsome sponge out of the fridge and then place it on the counter. 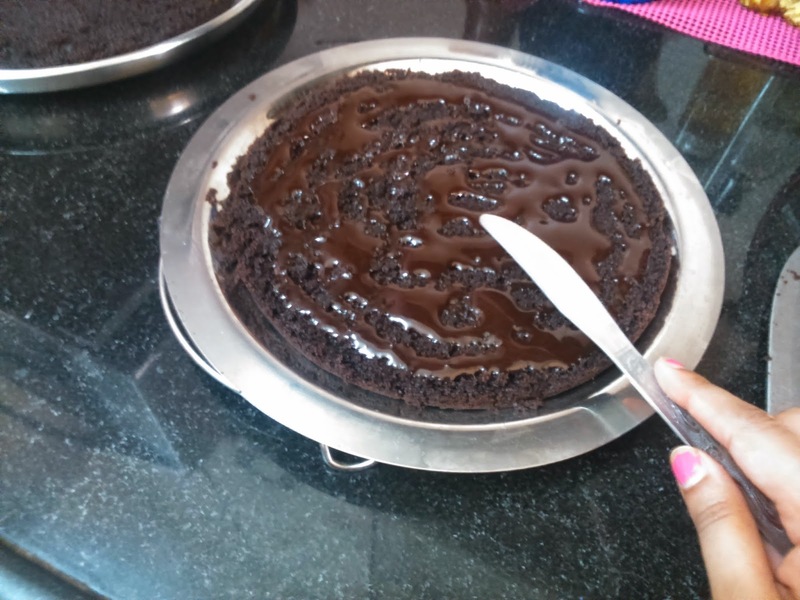 Using a bread knife cut the cake into half. 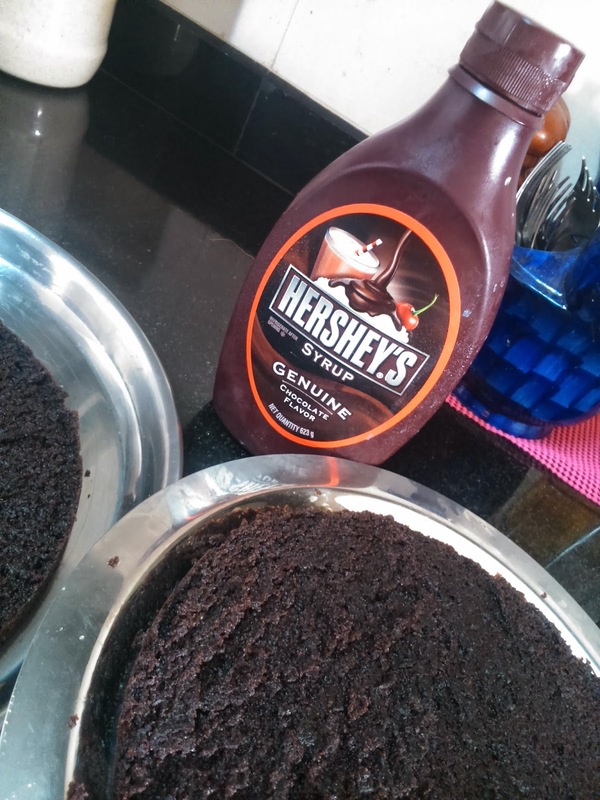 Next, you need chocolate sauce, I prefer Hershey's Chocolate syrup, it's not too dark not too sweet, it' perfect. So wait no more. Let the chocolate syrup pour on one half. Place the remaining half back on the chocolate syrup covered side and pour some more chocolate syrup on the top. Spread with a butter knife. Set it in the fridge for an hour before serving. For Decoration, go crazy its your cake. 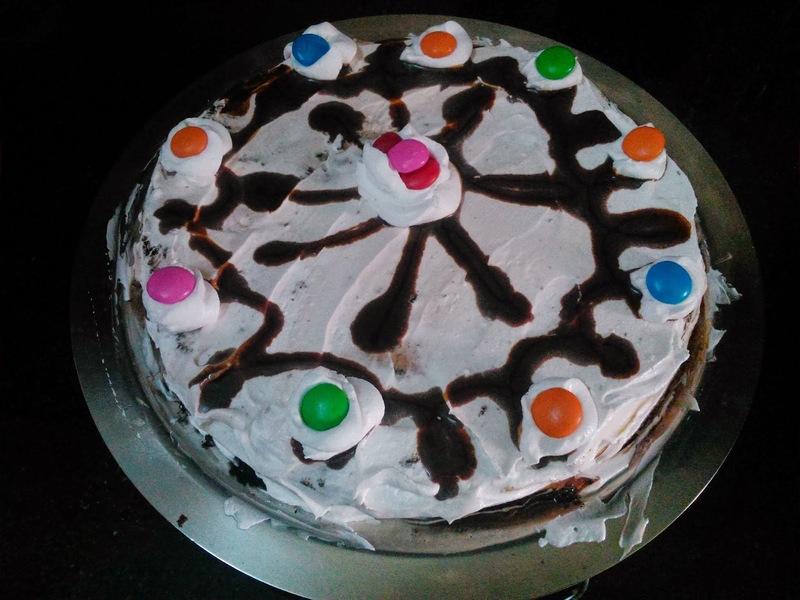 I have done this cake thrice and sharing with you three types of plating. Let me know which one you prefer. Layered with Chocolate Sauce and dusted with castor sugar. Smothered with chocolate syrup on both the layers and then went nuts with the piping bag filled with whipped cream also added few sugar flowers.